Late again. Sorry but it's probably going to be awhile before I get enough buffer again so I can stay on time. I'm way over loaded so I'll never have a buffer again. Bidi you have something better than bikini armor & I see your memory is as good as ever. She loves blowing stuff up... how could she forget that? Don't worry about it, we're just glad you've recovered and are at home. Over time, the schedule and buffer should take care of itself. As soon as I get caught up the G.E.C.K. for FO4 will come out then I'll get way behind again. Well, everyone who doesn't like any delays in the schedule can feel free to demand their money back. Here's a cheque for $0. we'll take what we can get and be glad we got it. pneumonia is no fun, take your time. More is always better when it comes to 'splosives. When do the cops show up and arrest her for illegal use of fireworks? There's no cops in a zombie apocalypse. And don't anyone say Rick Grimes, because he's not a cop anymore. What about that police station full of cops though? They had police cars and everything! Even Rick and Co's amazing ability to screw everything up didn't kill all of them. She wouldn't be as fun if she didn't blow stuff up. I don't know if you have ever played Fallout 3 but that's one of the most bizarre quests in any game. The player has to dress up as the Pint-Sized Slasher, then kill Timmy Neusbaum and his family before the mad scientist will let you leave. Am I weird or does Bidi look 1000% better dressed like this than she does the other way? Let that be a lesson, MacCready... ALWAYS watch out for the "Psycho Ex-Girlfriend"!!! And I think my prediction about Timmy will come true!!!! But where's the trail of Pee? Glad you're up and running again, Dude! Don't worry about your buffer, cause we aren't worried about it either. "...But where's the trail of Pee?" A bladder only holds so much. 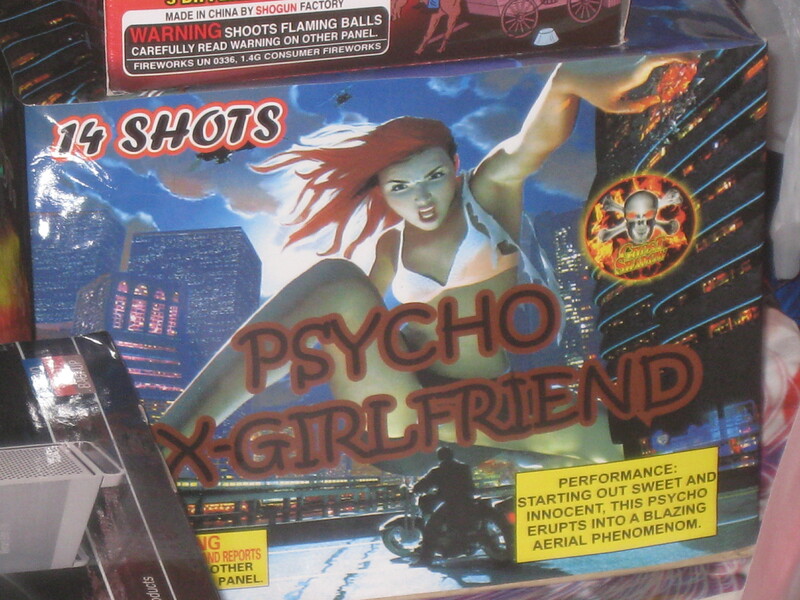 I got the Super-Mega-Combo-Pack of Psycho ExGF for New Years. Now that was friggin awesome! There's never a lack of fun stuff to do in the zombie apocalypse as long as you have a good supply of splosives. Nice touch with the smoke in panels 2, 3, and 4. And that fireworks explosion in 4 was pretty sweet. I actually want to re-do that fireworks. I think I can make it better.